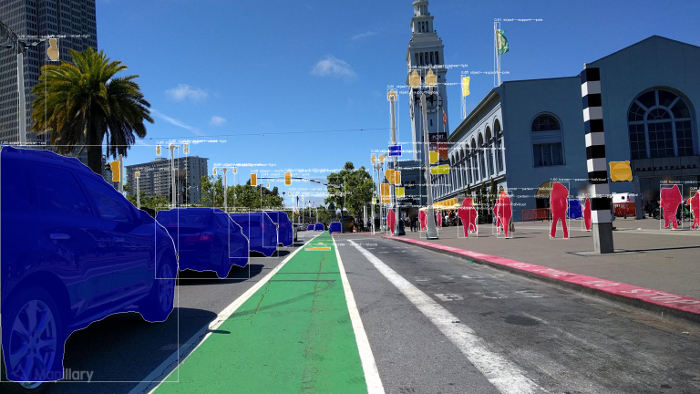 Swedish startup Mapillary has added 42 new AI-generated map feature classes to its street-level imagery platform, resulting in over 186 million extra roadside objects placed on its global map, which is available for anyone to access. Derived from more than 430 million images, the company’s computer vision algorithms had successfully identified and placed 186,576,130 new objects on its global map by January 11, but this figure is likely to have increased by the time of reading. Using artificial intelligence (AI), Mapillary’s software has been trained to localize more than 42 new map feature classes, such as utility poles, fire hydrants and line features like curbs, in addition to the 1,500 different traffic sign classes that the platform has supported for some time. The map features are identified and put on the map through processing geo-tagged street-level images with sophisticated computer vision technology. The system detects different objects in images and reconstructs locations in 3D. If the same object has been detected in multiple images, it is possible to triangulate its position and estimate its coordinates on the map, generating a map feature that represents that item. Mapillary’s model is based on collaboration, which means that the company has not captured any of the images that it stores on its platform. Instead, all the images have been uploaded by people and organizations around the world that are looking to access map data in the images or use them in their workflows. By uploading imagery to Mapillary, it is automatically anonymized and made available to the public. The company’s customers and partners range from mapping providers Here and Mapbox, to automotive players such as Toyota and Audi’s AID self-driving subsidiary, and cities and organizations like Amsterdam and the World Bank, as well as numerous departments of transportation (DOTs) and other road operators worldwide. 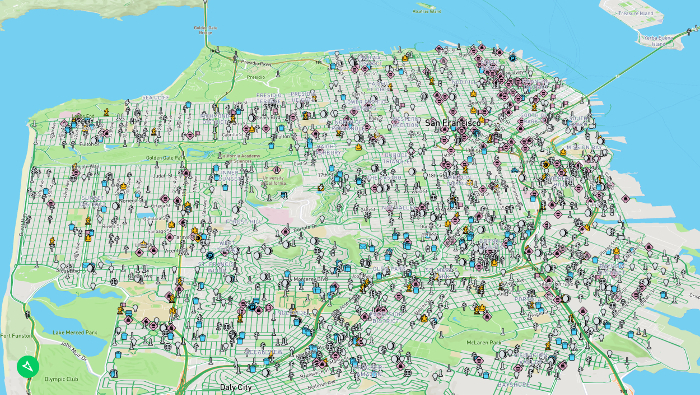 The new roadside asset map feature classes in the latest release include: fire hydrants; mailboxes; utility poles; parking meters; street lights; benches; bike racks; trash cans; manholes; crosswalks; CCTV cameras; phone booths; driveways; traffic light (various types); traffic cones; signage (various); temporary barriers; and lane marking (multiple types). “The demand for map data is on the rise in industries ranging from mapping to automotive and governmental sectors, like transportation agencies. There’s no way any single player can map the world on their own, which is why we’ve built this collaborative and computer vision-powered model. It allows anyone to share imagery and access important information in the images through computer vision,” explained Jan Erik Solem, co-founder and CEO of Mapillary. “The new map features are likely to be of particular interest to mapping platforms, GIS players, and agencies in the transportation field. This is something that people have asked us about for a long time. Cities are changing faster than ever before, and the old way of surveying streets is too slow, expensive, and cumbersome.